The Silverline Furniture Rigger Gloves are cotton work gloves with top-quality cowhide leather panels for enhanced protection and increased durability. 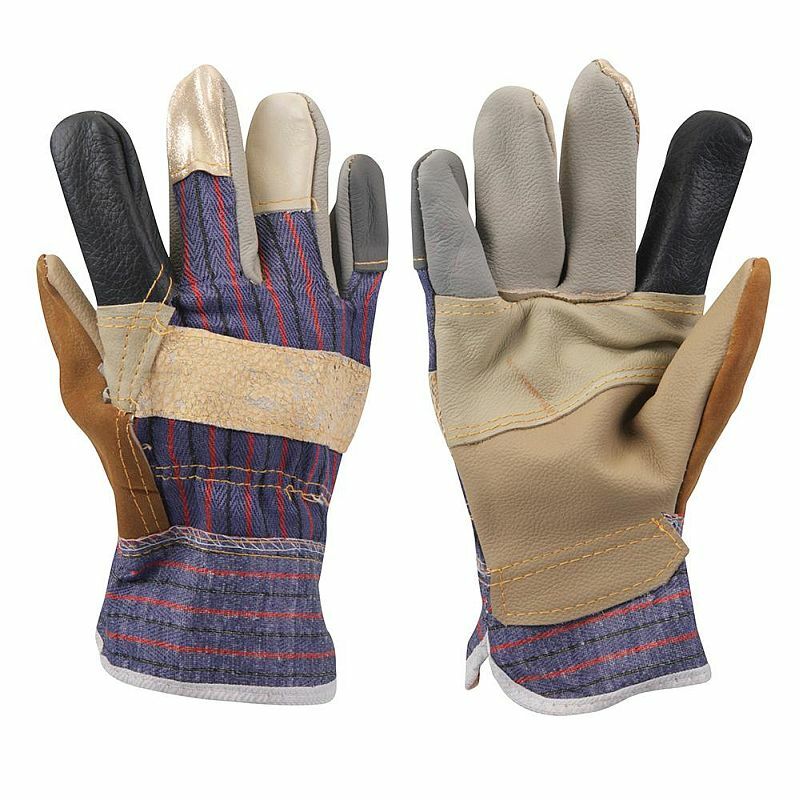 Featuring a safety cuff that prevents dirt from getting inside the gloves, these lightweight gloves are ideal for a range of outdoor applications, including construction work and rigging. The Silverline Rigger Gloves are available in one universal size only. Due to the stretchy nature of the elasticated back of the glove, this size should be suitable for most users.